Written by: Different Roads to Learning on February 12, 2019.on February 11, 2019. 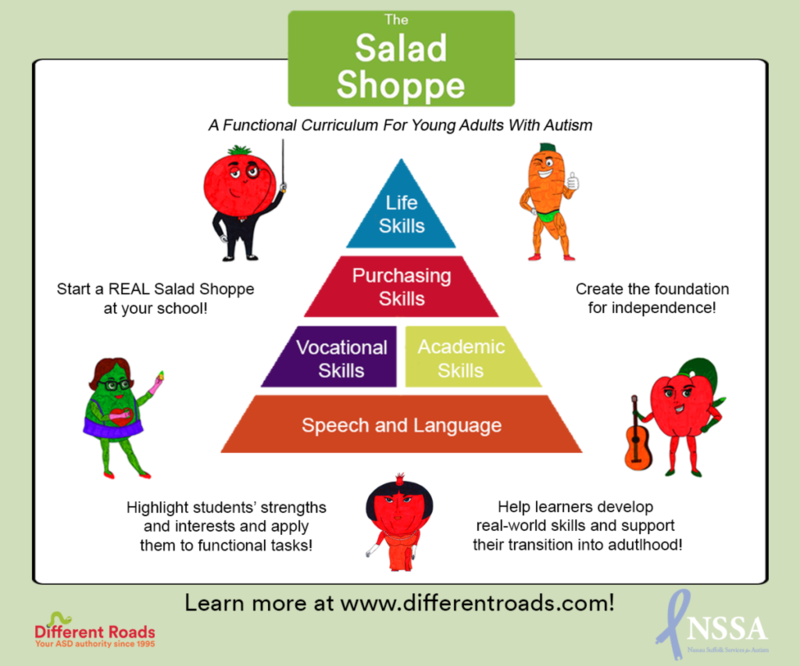 This entry was posted in ABA, Academics, Applied Behavior Analysis, autism, Autism Awareness, autistic spectrum disorder, Behavior, Daily Living Skills, Development, From the Experts, Pick of the Week, Products, Sale and tagged ASD, autism, autism spectrum disorder, NSSA, promotions, salad shoppe, sales, sales and promotions, Vocational Programs for Autism, Vocational Skills by Different Roads to Learning. Bookmark the permalink.